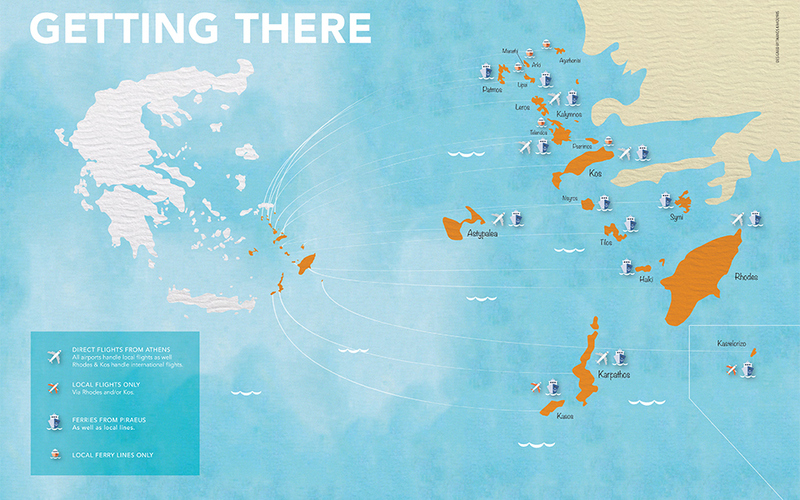 Island hopping in the Dodecanese is a dream vacation for many. Here is all the ferry and airline information you need to start planning your trip. Additional routes are added as needed to accomodate travelers arriving with large ferry boats to Patmos. *More boats, covering short distances on demand, can often be found in the harbours. Ask the locals for tips and directions.